Hustling led all web series with 9 nominations. Out With Dad was next among Dramas receiving 8 nominations, followed by DeVanity and Progress with 7, with EastSiders and Thurston earning 6. Among Comedies, Wrecked led with 7 nominations, followed by Bloomers and Husbands with 6. Noirhouse and Professional Friend each received 5. A record-breaking 56 web series received at least one nomination. 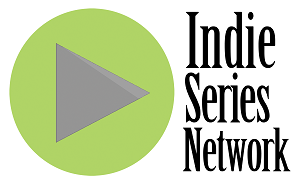 "We had an all-time high number of shows submitted this year," said Roger Newcomb, founder of the Indie Series Awards and editorial director of We Love Soaps. "The shows that have been nominated in the past keep getting better and the new series blew us away." The 5th Annual ISAs will take place on April 2 at the historic El Portal Theatre in North Hollywood, hosted by Carolyn Hennesy, who received a nomination in the "Best Guest Star - Comedy" category for her work on Single Siblings.